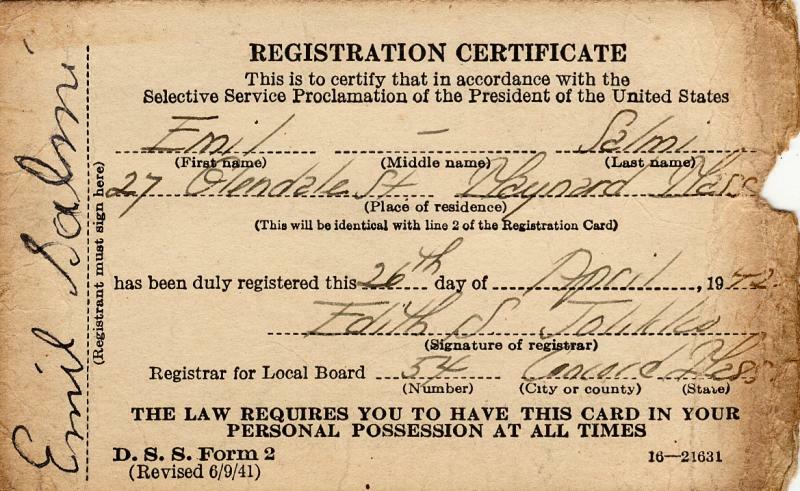 Two Registration Certificates for Selective Service for Emil Salmi, dated June 5, 1917 and April 26, 1942. 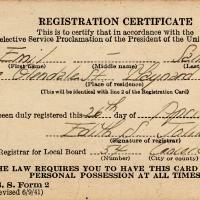 The 1917 is signed by George E. Lawton, Registrar; and, the 1942 is signed by Faith Jolikko, Registrar for Local Board #54, Concord, MA. 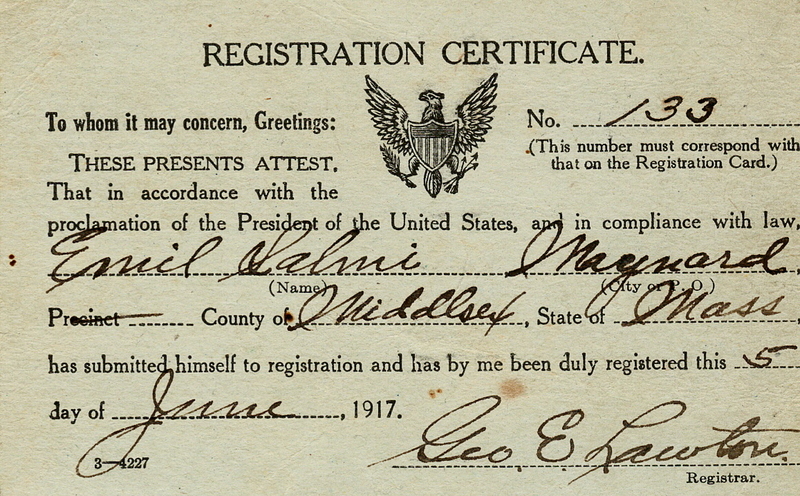 Donated by Family of Emil Salmi. 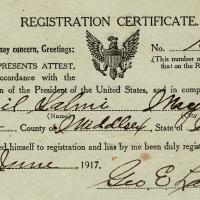 “Registration Certificates - 1917, 1942,” Maynard Historical Society Archives, accessed April 24, 2019, http://collection.maynardhistory.org/items/show/6271.